Spring is here and many people are getting ready to put their house on the market. With that in mind, I have been getting emails from readers wanting to see tips on how to stage their home and that’s why I decided to share this beautifully staged home by Heather Scott Home & Design. As you’ll see, this home already had great bones and no renovations were required. The only thing this house needed to attract as many buyers as possible (including young families) was to feel refreshed . 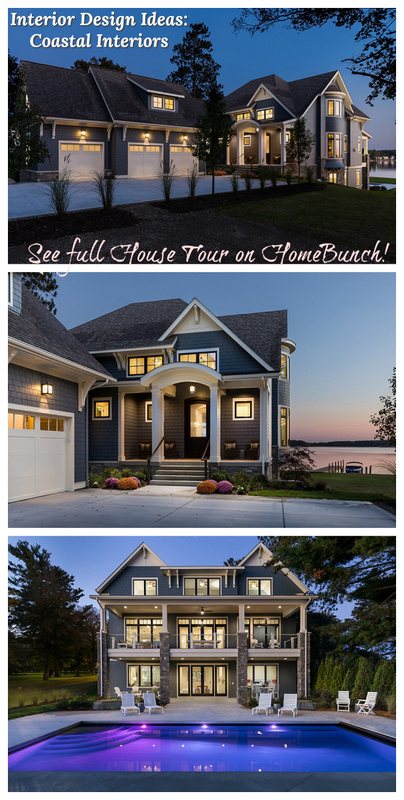 Here, the designer explains more about how the home staging was applied to this specific traditional home. 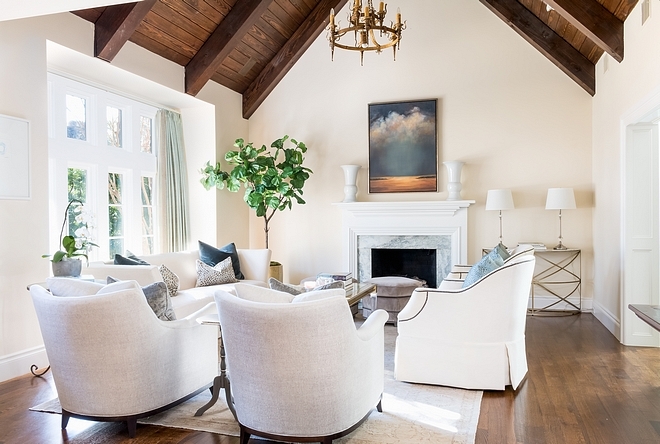 “Our team typically does not take on staging projects, but a past client requested a favor to transform their grand Pemberton Classic Heights estate and we were eager to help. 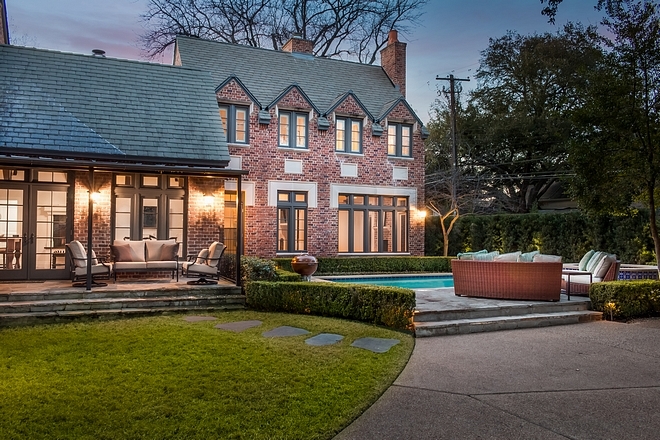 The beautiful home sits on one of the best streets in Central Austin, Wooldridge Drive. 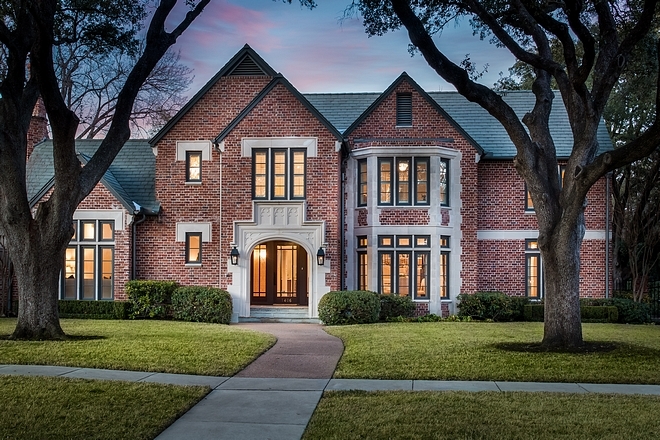 The home is 5,918 square feet, with 5 bedrooms, 7 baths, and gracious living spaces. Brick exterior, although a classic, it’s very popular at the moment. Would you paint the brick or leave it as it is? The interiors were not painted, therefore the designer does not have any records on the paint color, but it’s similar to Benjamin Moore Soft Chamois. 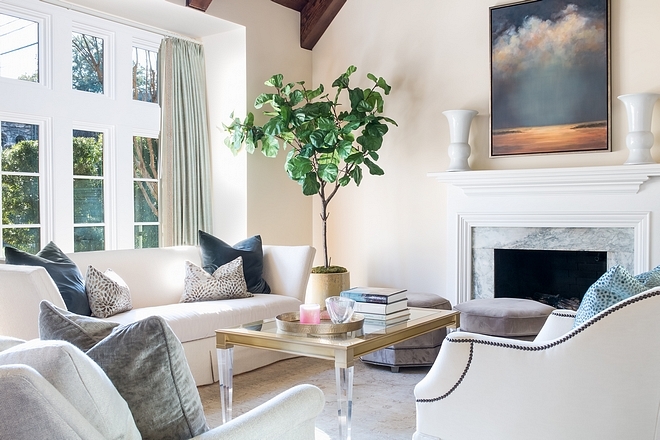 Benjamin Moore Soft Chamois OC-13, is very subtle and it’s perfect for selling homes. I think that nothing can make a room feel right – or wrong – more than the furniture layout. 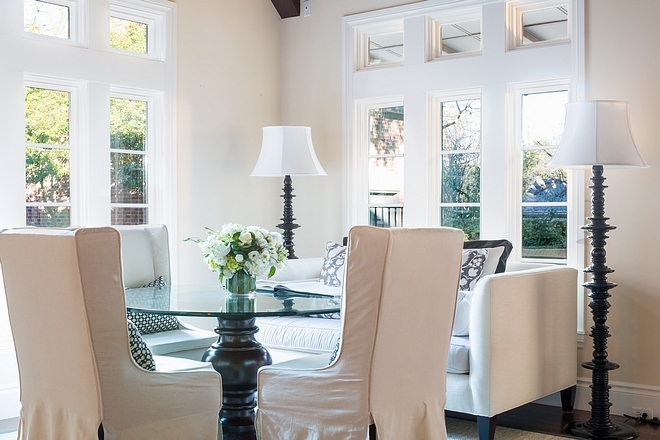 Rethink the furniture in each room of your home and rearrange it if necessary. Chairs are Hickory Chair – similar here, here, here & here. Fiddle Tree: John Richard Collection fiddle leaf fig tree – similar here. When decorating your coffee table, keep it simple and collected. You can find this coffee table here. Artwork: Lisa Seago Fine Art Drift Away. I am not a big fan of buying too many new things to stage a home because what works in your current home might not work in the next. Having said that, try to bring some fresh and beautiful decorative accents to make your current home feel more desirable. A small shopping spree can add some extra cash to your pocket when selling your home. 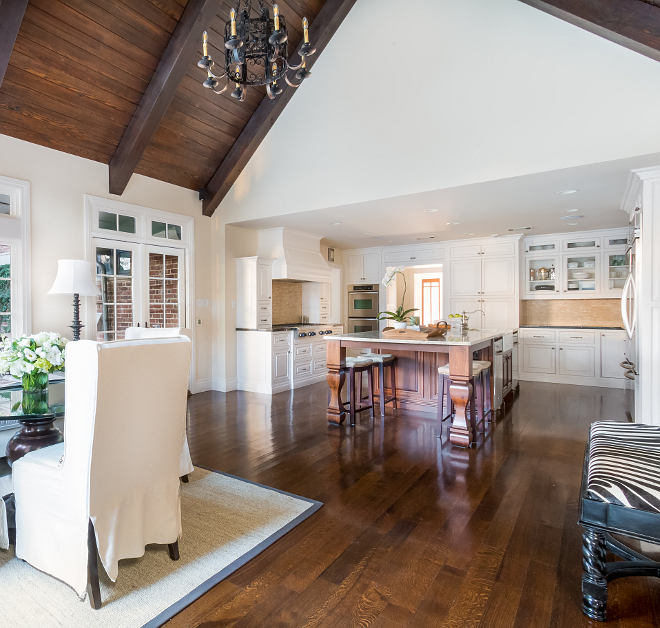 The kitchen has a great layout and it was kept neutral to make the space feel even more spacious to the buyers. 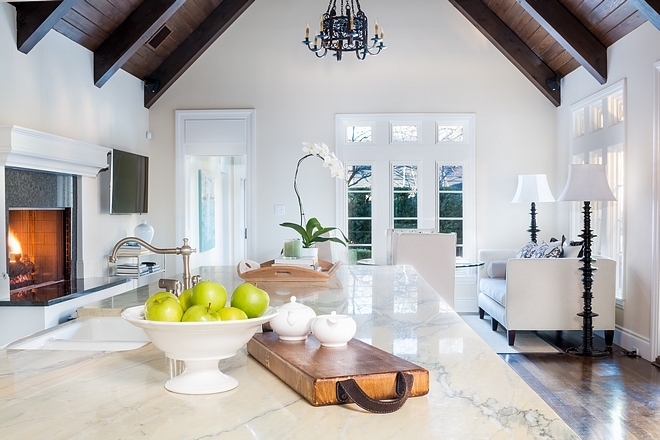 Tip: Leave your counters mostly empty and clean every inch of your kitchen. That include cabinets – inside and out! 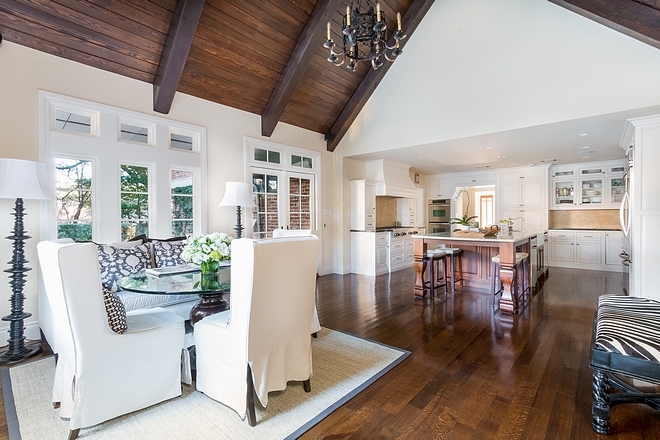 Although you want to put all of the clutter away when selling, it’s important to keep your house feeling like a home. Make sure to add some texture and layers with beautiful rugs and slipcovered furniture. Kitchen Table & Chairs: Padma’s Plantation – (discontinued) – Similar Options (here, here, here & here) & Chairs. Floor Lamps: Noir (discontinued) – similar here & here . Sectional is Heather Scott Home & Design Private Label Collection. Similar chair can be found here. Photography: Tracie Spence Photography (girls running). A beautiful chandelier brings this neutral master bedroom to the next level. Chandelier: Aidan Gray Beaded Chandelier. The master bathroom features basketweave tile, which gives a timeless feel to it.